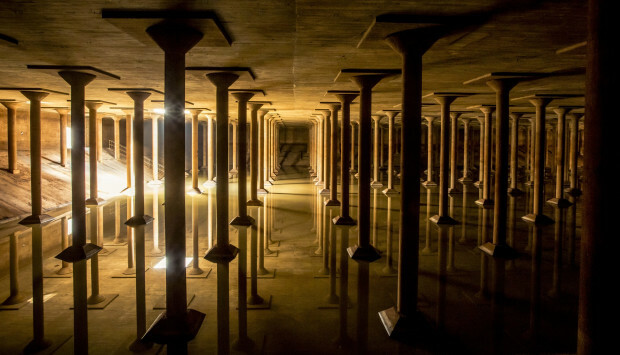 Buffalo Bayou Park Cistern, a renovated architectural relic, reminiscent of the ancient Roman cisterns under Istanbul, is a cavernous space the size of 1.5 football fields featuring 221, 25-foot tall, slender concrete columns. 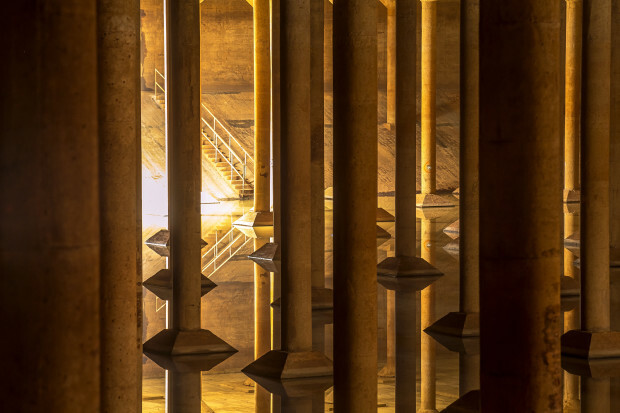 The 87,500-square-foot underground drinking water reservoir was built in 1926 for the City of Houston and supported the municipal water system’s goals of fire suppression (water pressure) and drinking water storage. 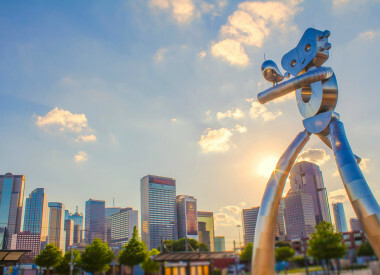 Realizing the historical and architectural significance of the highly unusual space, the organization along with the City of Houston, worked to take over management of the site and make this space accessible to the public. It was Kevin Shanley, President of SWA Group and landscape architect for Buffalo Bayou Park, who first called the reservoir "the Cistern." The place reminded him of the ancient Roman cisterns under Istanbul. It also reminded him of art. 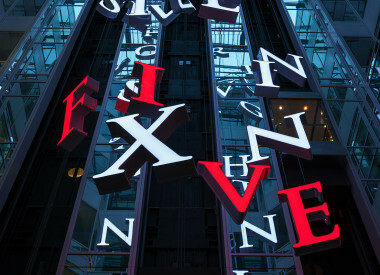 He pointed across the dark expanse of columns to one of the big hatches. Blinding-bright sunlight poured down onto the metal ladder; it looked possible to climb to heaven. "Doesn't that look like Caspar Friedrich?" Shanley asked. And I thought yes: It was exactly the über-dramatic light the old Romantic painter would have loved. Moody light also fell from smaller square roof hatches. Those put Shanley in mind of modern artist James Turrell: the hatches above dramatically frames the sky - an unintended replica of one of Turrell's Skyspaces. 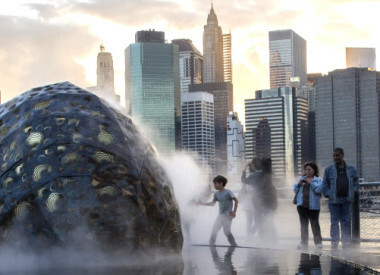 The goal for this space was to first have this accessible to the public to experience this historic relic, learn more about the history of Houston’s water system and to be a venue for temporary art, especially sound and light installations. 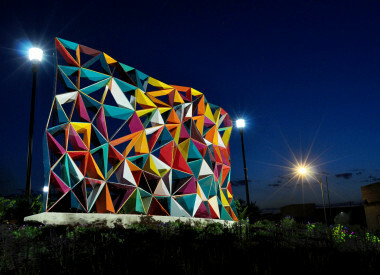 Buffalo Bayou Partnership has formed a public art committee to curate this space. 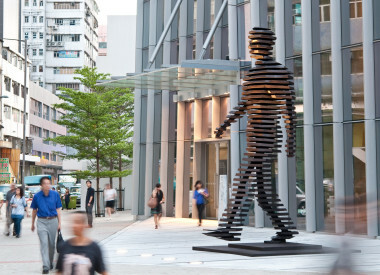 RAIN was the inaugural installation and we look forward to what is in store for the future. Buffalo Bayou Partnership (BBP) and the Museum of Fine Arts, Houston (MFAH) co-presented the inaugural art installation, Rain: Magdalena Fernández at the Houston Cistern featuring 2iPM009 from the Venezuelan artist’s video series Mobile Paintings, which was acquired for the Museum’s permanent collection in 2012. 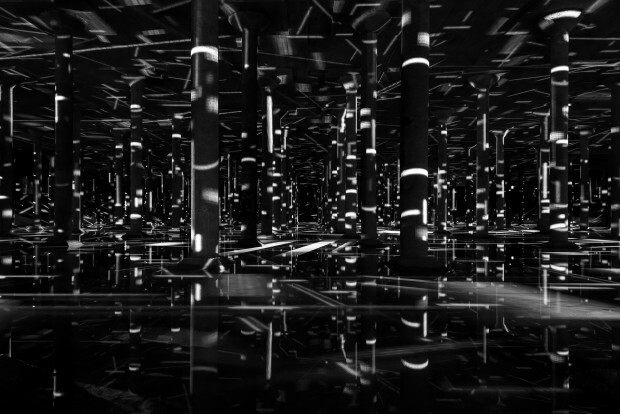 2iPM009 is an abstract video-projection piece, 1 minute and 56 seconds in length that evokes a rain-soaked night. The soundtrack is an acoustic montage that Fernández has meticulously edited, of sounds made by members of the a cappella Slovenian choir Pertuum Jazzile, who snap their fingers, slap the palms of their hands against their legs, and stamp their heels on wood to evoke both the drumming and gentle patter of rain. 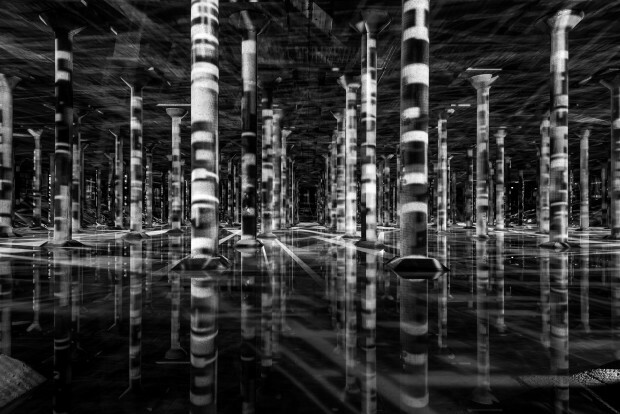 For the Buffalo Bayou Park Cistern, Fernández adapted 2iPM009 to project the video onto the columns so that its imagery is reflected in the shallow pool of water on the Cistern floor. 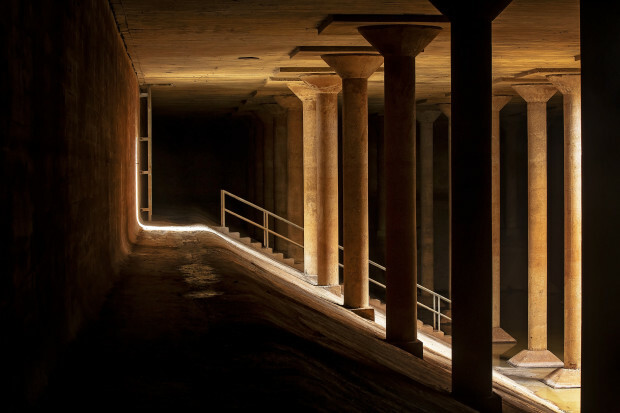 The Cistern’s raw interior, modulated by a series of majestic columns, and its 17-second acoustic reverberation time, made for an immersive art environment. Lead underwriting provided by: Kinder Foundation and The Brown Foundation, Inc. with special thanks to Sicardi Gallery. “Buffalo Bayou Partnership has long been committed to permanent and temporary public art, and we are honored and privileged to collaborate with the Museum of Fine Arts, Houston to present the work of Magdalena Fernández in this exceptional space,” says BBP President Anne Olson. 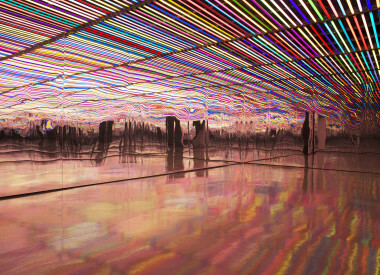 “This iconic space both reminds us of Houston’s architectural history and signals the city’s future in revitalizing its urban fabric,” comments Gary Tinterow, director of the Museum of Fine Arts, Houston.